John Leenane is Head of Trading at CDB Aviation, with three decades of experience in banking, structured finance, and aircraft operating leasing. His extensive background in aviation finance encompasses lending, financing, trading, pricing, portfolio management, aircraft acquisition, and strategic partnership development. Prior to CDB Aviation, John was Regional Director, Europe & Asia - Financial Institutions Group, at CIT Aerospace International, with responsibility for lending and leasing activities in the regions. He also served as Director of TC-CIT Aviation Ireland, a joint venture between CIT Aerospace and Century Tokyo Leasing Corporation and previously, he held the role of Senior Vice President, Capital Strategies, at ORIX Aviation. 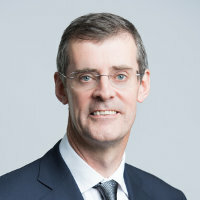 During his career in banking and structured finance, John held a number of executive positions at Fresh Mortgages Limited, Investec Bank, IIU Ltd, and ABN AMRO Bank N.V. John earned his Bachelor of Commerce degree from University College Dublin, and he is an associate of the Institute of Chartered Accountants in England & Wales.